Next May, we’re getting more than just an epic showdown between Captain America and Iron Man in Captain America: Civil War. We’re being introduced to a key new character in the Marvel Cinematic Universe, Black Panther, and there’s some new info out about his role. There’s also a brand new look at the character, and we can finally see the details in his suit, claws and more. 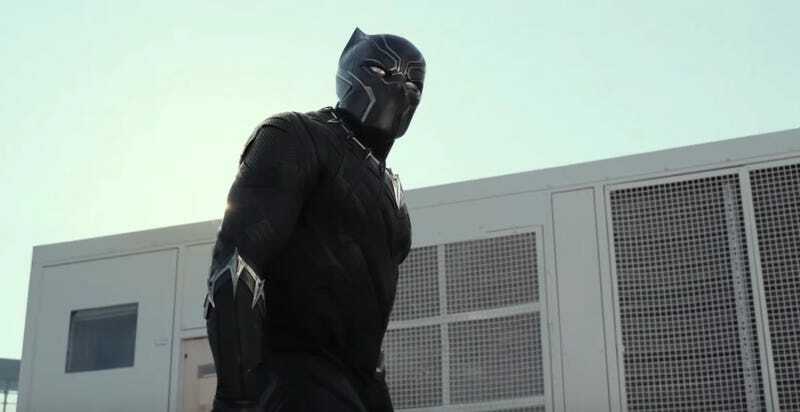 That conflict will make him Black Panther (played by Chadwick Boseman) the “undecided voter” in the battle between Cap (Chris Evans) and Iron Man (Robert Downey Jr.) according to producer Nate Moore. A conflict necessary to increase the drama and give the audience an unaffiliated third party to relate to. Boseman hinted that part of what drags him out also will deal with his feelings for The Winter Soldier, played by Sebastian Stan. You can read much more about Panther’s role in the film, including his ninja-like powers and the logistics - both on screen and off - of his suit, over at Entertainment Weekly.